Many people have asked me over the years to present my crystal healing course on line and now here it is! My aim is to open this course up to as many people as possible who genuinely want to learn about the magic of Crystal Healing and to practice professionally. I want as many people to have the opportunity to actually learn with integrity under my full mentorship and fulfill their dream to become fully fledged crystal and energy healers. On this course you will learn everything that is covered in my Professional Diploma Course through a series of six modules which will include video, pdf’s, mp3’s and tutor support via email, and facebook. This is a part time certificated course that is for people who would like to learn the shamanic art of healing with crystals. The Journey to becoming a Crystal Healer is personally fulfilling and spiritually transforming. Learn about the chakras, sacred geometry, the subtle energy bodies, distance healing, affirmations and journeying with a client PLUS lots more. You can begin this at any time anywhere in the world and work it around your every day life schedule! You have a full 18 months to complete it. Here is a brief outline of the course modules. Holding sacred healing space, feeling energy and how it flows, basic healing techniques, attuning to crystals, cleansing crystals, grounding and centring, basic subtle anatomy (aura and chakra work) Connecting to smokey quartz, clear quartz, rose quartz, hematite. Recognizing energy blocks, how to energise and cleanse chakras, the first crystallography instalment, more chakra work, looking at letting go, how illness begins, stress and relaxation – practical healing techniques. Connecting to sodalite, amethyst, obsidians and moonstones. More work on bringing light into the body. Release and the healing crisis – practical elements. Practice management, case studies, Using a crystal wand. More crystallography work. Connecting to blue lace agate, carnelian, selenite and danburite. Balancing chakras with the use of colour, how colour plays a part in healing, sacred geometry, grids and mandalas for healing. Crystallography. The importance of self-healing practice. Connecting to green aventurine, peridot, emerald and aquamarine. Creating and using gem essences. Using flowers during healing. Looking at and working with the relationships between chakras , particularly throat and sacral – theory and practice. Looking at complementary colours. Connecting to strawberry quartz, petalite, rhodonite, rhodocrosite and tigers eye. Healing with the 3 stars (subtle anatomy). Theory and practice of distance healing and how this works. Looking closely at the heart chakra and higher heart. Focussing techniques. Sound. Connecting to amber, sunstone, charoite, sugilite. 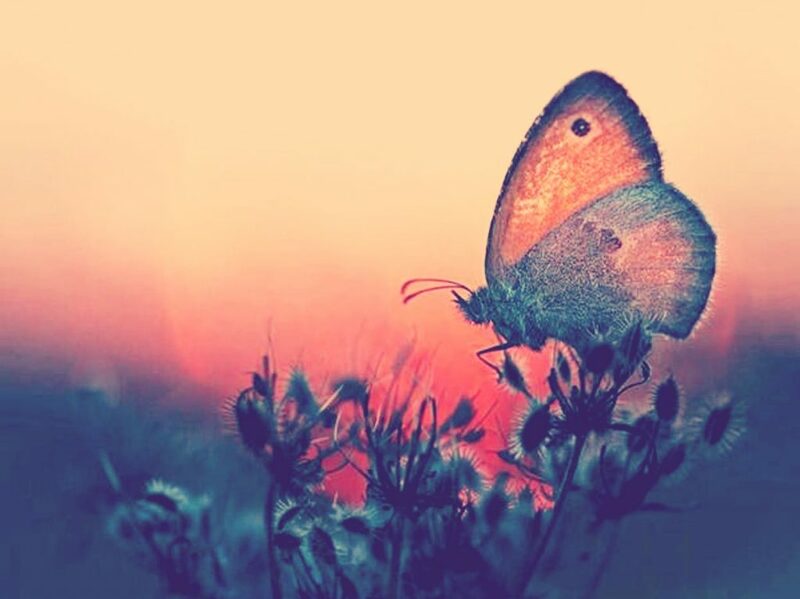 Self healing is really integral throughout this course and there are six mp3 meditation journeys for you to enjoy which help you discover more about what you need. 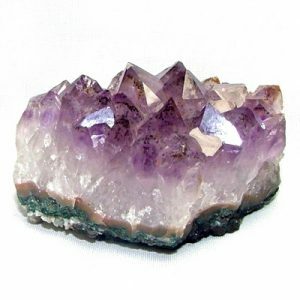 The crystals you work with are specially selected to enhance your personal healing journey. 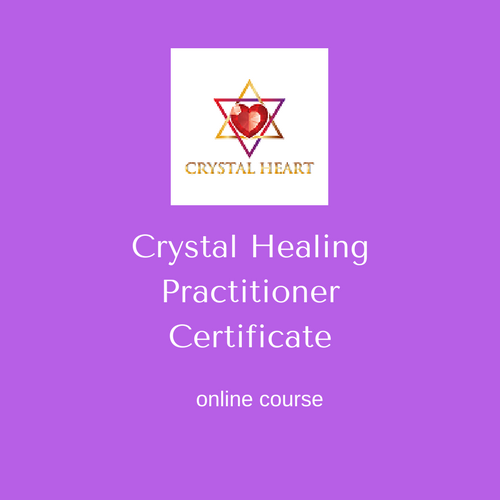 You’ll receive the Crystal Heart School Crystal Healing Practitioner Certificate once you’ve completed all modules satisfactorily, attended a practical healing day or Skype assessment and submitted case studies. So who am I and why am I so passionate about crystals? There’s no doubt about it – working with crystals and the journey to becoming a Crystal Healer will transform your life. Taking this course is a unique opportunity for personal and spiritual growth. So, as the tutor of this course – what’s my story and how did I come to love crystals? Here’s a bit about my own journey. I first came to crystals 18 years ago. I was living in The Highlands of Scotland and knew of a Crystal Therapist, who lived nearby. One day, I was feeling out of sorts and she gave me a treatment, I was feeling quite emotional at the time, but afterwards I felt happy, whole, calm and able to cope with a new home and the stresses of life, in fact, I felt on top of the world! I came back to crystals a couple of years later after another major juncture in my life. I had decided to do a Crystal Therapy course, after meeting a Crystal Therapist who worked alongside me in my Therapy shop. The Diploma lasted for 2 years. I had no idea then, how crystals would change my life! Recent divorce had really brought me down and I was lacking in confidence and direction. I was a little sceptical even though I had experienced the power of crystals already! Over the two years of working constantly with many different crystals and doing more than 100 case studies – my life began to change. I became more confident, I felt re-connected to who I am as a person and the path I wanted and needed to be on. My sense of spirituality was strengthened but better still, I was walking my talk. I was so amazed at how crystals empowered my life that I wanted to share it with others and so for the past ten years I have been teaching a two year Diploma Course following a standard course curriculum. My passion and dharma is crystal and energy healing and I want to share that with YOU. Creating this online Crystal Healing Practitioner Certificate offers a unique combination of automated learning with tutor back up and feedback. Are You Ready to Take This On and Begin Your Crystal Healing Journey? Of course I know only too well that there are many fast track crystal healing courses out there. That was one of the reasons why I felt so compelled and inspired to write my own. To put the words, knowledge and hard work of my own learning experiences over time into a comprehensive course seemed like the next necessary step for me. Why? because I am passionate about the correct use of crystals as healing tools. Learning about crystal healing is a shamanic pathway, opening up to the creative intuitive side of ourselves and acting from a point of deep inner knowing. So, if learning about crystals as a fast and prescribed ‘put this crystal here and do this’ perspective is what you were looking for – sorry this course is not for you. By choosing this course you will deepen your trust in your inner intuitive healer and its this element that will truly empower you. I’m delighted to be taking you on as a Student of Crystal Heart School and I can’t wait to start sharing the learning journey with you. You will ultimately be joining the Crystal Heart Community of Healers and sharing the love and knowledge of crystals and healing in your part of the world and beyond. Thank you for choosing to take the first steps – see you on the inside of the course. 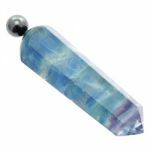 My Unique Crystal and Energy Healing Course is absolutely packed with valuable content – it’s my life’s work and learning as a Healer and Teacher. An Amazing Value at $600! What you’ll be learning in this first module. Read the notes and use them as guidance for choosing your crystals for healing, cleansing and activating them. A note on collecting and handling your case studies.